Learn more about GEO BON projects on the following page. The VAT-system is a Web-based scientific research infrastructure supporting fast and intuitive data exploration in the biodiversity domain. It provides access to various spatio-temporal data sources ranging from observation data to remote sensing and allows the processing of heterogeneous data in an intuitive manner. VAT offers a visual analytics component that enables users to detect interesting information in the data in an interactive fashion. VAT is not a monolithic system but rather a toolbox that allows fast development of custom analytical apps. VAT has been developed at the University of Marburg in close cooperation with Senckenberg within the GFBio project. The NextGEOSS project, a European contribution to GEOSS (Global Earth Observation System of Systems), is developing the next generation centralised European hub for Earth Observation data, where the users can connect to access data and deploy EO-based applications. The concept revolves around providing the data and resources to the users communities, together with Cloud resources, seamlessly connected to provide an integrated ecosystem for supporting applications. A central component of NextGEOSS is the strong emphasis put on engaging the communities of providers and users, and bridging the space in between. Using the global vantage point of space, the Earth Science Division (ESD) builds fundamental knowledge of how planet Earth functions. Furthermore, the Division’s Applied Sciences Program promotes efforts to discover and demonstrate innovative and practical uses of Earth observations and Earth science research in public and private sector decision-making. The Group on Earth Observations (GEO) is an intergovernmental organization working to improve the availability, access, and use of Earth observations to inform decisions and benefit society. NASA is a significant contributor to GEO, both through the United States as a GEO Member Country and through involvement in GEO’s Participating Organizations. GEO maintains a Work Programme, which articulates the activities that the GEO community commits to perform; the GEO Work Programme includes 67 elements. More information is at https://earthobservations.org. This solicitation requested proposals to advance nine specific elements of the GEO Work Programme 2017-2019. NASA specifically sought to involve non-Federal domestic organizations in contributing to and achieving progress on the GEO Work Programme. NASA received 110 proposals in response to this solicitation, and NASA Earth Science selected 32 for awards, totaling approximately $17 million over 4 years. The ESD Applied Sciences Program manages the awards. Projects will aid the nation by increasing the uptake of Earth observations to inform decisions, broaden the organizations routinely using them, and further increase the return on investment from Earth observations. Additional information on the solicitation is available at http://nspires.nasaprs.com, and information on the ESD Applied Sciences Program is available at http://appliedsciences.nasa.gov. Effective policy responses to changes in biodiversity are only possible with adaptable analytic tools that leverage the influx of data from biodiversity observation systems. Such analytic tools must also be streamlined and readily mastered by researchers making scientific recommendations. In this project, we will create software to assess biodiversity change indicators by building on the recently developed software Wallace as a new GEO BON in a Box tool. Wallace is an R-based application with a graphical user interface that supports species distribution modeling (SDM) in a reproducible, flexible and extensible platform to facilitate a wide range of ecological analyses. These models characterize environmental suitability for species and can be used to estimate species’ geographic distributions — a GEO BON Essential Biodiversity Variable (EBV). Wallace harnesses biodiversity data from online databases or user input, assembles a variety of tools for building and evaluating models, and offers guidance for important conceptual and methodological issues. Critically, its modular nature facilitates the addition of new, cutting-edge innovations by other programmers, as we propose here. To expand Wallace as a new BON in a Box, we will develop two new R packages to be integrated as new modules for Wallace’s workflow to facilitate biodiversity change indicator calculations for GEO BON assessment and reporting, in collaboration with the Colombia BON as a model. The first package will use single species range maps in conjunction with remotely sensed (RS) products to estimate the species’ current range. It will harness RS products derived from NASA (and other) satellites, including percent forest cover, vegetation classes, and NDVI, which can be spatio-temporally matched with recent in situ observations of species’ occurrence to determine habitat tolerances (e.g., to land use change). The second package will allow calculation of key indicators including single-species biodiversity change indicators such as range size, extent of occurrence, percent suitable land cover, or projected trends under future scenarios at multiple spatial extents. Calculations will also include multi-species indicators, such as the EBV taxonomic diversity, and others not currently implemented through other BON in a Box tools, with a focus on ones most useful at regional scales. Module outputs from Wallace will be designed to feed directly into other BON in a Box tools, such as our international collaborator Instituto Humboldt’s BioModelos. BioModelos is a web application enabling expert validation of species range estimates in support of the Colombia BON. 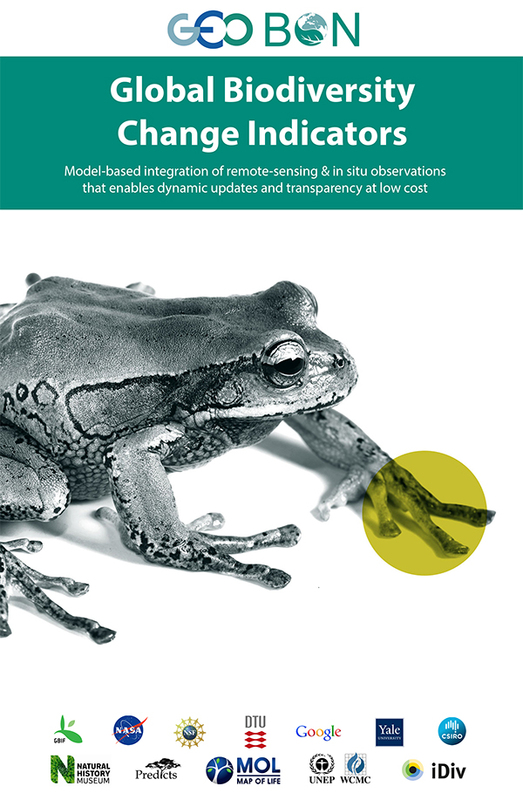 We will also develop training materials for Wallace targeting conservation practitioners that reflect best practices for using SDM for biodiversity change indicator calculations, resource management and biodiversity conservation decision-making. Our project results will address challenges to overcoming the gap between best modeling practices and biodiversity conservation decision-making and will facilitate responsible reporting on biodiversity by national BONs. Via focus on the development and enhancement of open-source, user-friendly software to contribute to BON in a Box, our proposal will advance broad application, exploration, visualization, and understanding of EBVs and generation of EBV data. Furthermore, developing a connection between Wallace and BioModelos, another BON in a Box tool, will be valuable for future interfacing with efforts at IUCN, BIEN (the Botanical Information and Ecology Network), and other similar projects that use SDM predictions as inputs. Finally, although we will focus development of our BON in a Box with the needs of the Colombia BON and with NASA Earth Science data, we will incorporate flexibility to address the needs of diverse users at multiple scales from national to global, and to work with remotely sensed data from any space agency in GEO. Held a formal end-user consultation workshop in Bogotá, Colombia to consult with invited biodiversity experts for their input on how to best develop the new software with their needs in mind. Learned that less than half of participants currently use species distribution models (SDMs) in their work, and we aim to increase the proportion of our end user base using SDMs to contribute to biodiversity assessments for resource management and conservation decision-making through this project. Based upon end user input from the workshop, our first R package MaskRangeR has been developed. The package spatiotemporally matches in-situ observations of a species’ occurrence to remote sensing (e.g. MODIS-derived) products to derive accurate metrics important to species’ tolerances, and use them to refine species distribution model predictions and estimate the species’ current range. Biodiversity and the many ecosystem functions and services it underpins are undergoing significant changes worldwide scientifically rigorous information is needed to monitor their status and trends. Essential Biodiversity Variables (EBVs) capture key constituent components of biodiversity change. Facilitated by the GEO Biodiversity Observation Network (GEO BON) efforts are now underway to conceptualize, develop and deliver these essential components to enable a more focused, integrated and effective biodiversity monitoring and provision of national indicators in support of assessment and policy. The EBV class ‘Species Populations addresses the most fundamental aspects of biodiversity change, the variation of species geographic distributions and abundances in space and time. A GEO BON Working Group is currently advancing the concept frameworks, methods and infrastructure for a generalizable capture of spatial and temporal variation in species populations and support the delivery of EBV and indicator products for policy and management at national and global scales. Proposal PI Jetz and Co-PI McGeoch are the Co-Leads of the GEO BON Species Populations Working group, and the goal of the proposed work is to explore, demonstrate, and deliver key advances for species population EBVs and indicators enabled by remote sensing coupled to novel in-situ data sources. Species occurrence and abundance data are spatially and temporally sparse and biased, limiting appropriate EBV development based on just this ‘in situ’ information to small spatial extents and few species. Remote sensing, especially global products at high resolution and now extensive temporal coverage such as MODIS and Landsat, provide a powerful complement. Remotely sensed products, when coupled with growing in situ species data, and with models increasingly capable of handling disparate input data, are enabling predictions about species population change for unsampled locations at national and global scales and for an increasing number of species. In the proposed work, we will undertake select activities to advance the use of remote-sensing data for species distribution and abundance modelling. We are strategically including partners (as Co-Is and named Collaborators) with ongoing projects in this area that allow us to combine a range of activities and achieve synergies. We are also able to benefit from GEO BON partner Map of Life (PI Jetz, Co-I Guralnick) as modelling and web- infrastructure that ensure the effective and continued delivery of results to GEO BON and national and global stakeholders. First, we will advance the use of inventory datasets such as camera trapping and plant plot survey data combined with remote sensing data, as these (in combination with broadly-available incidental point records) enable the use of more sophisticated models for assessing change in occurrence and abundance. Second, using these data we will improve and demonstrate modelling methods that are particularly well-suited for assessing population change when combined with remote sensing. Third, we will build on these two efforts to deliver a range of spatial and, as possible, spatio-temporal EBV products for select species in North America (birds, mammals), South Africa (Proteas), and globally (select terrestrial vertebrates), including in particular select invasive species. Fourth, we will use these EBVs to provide improved information for indicators that have been endorsed by the CBD and (as core indicator) by IPBES. Our proposal thus responds to the key GEO BON call elements, including advancement of EBV methodology, EBV and indicator production, and provision of information relevant for BONs. The proposed project is endorsed by the Global Biodiversity Information Facility, the Convention on Biological Diversity, the IUCN Invasive Species Specialist Group, and the South African Environmental Observation Network. Hosted a workshop at Yale University in May 2018 to bring together 25 members of the GEO BON, camera trapping, remote sensing and spatial biodiversity modelling community to advance remote sensing-supported Species Population Essential Biodiversity Variables (SP EBVs). Completed the biodiversity ingest workflows and metadata so data is now moving into Map of Life. Work is progressing for developing spatio-taxonomic cleaning routines to reconcile records to the Map of Life master taxonomies. Set up Earth Engine to perform on-demand integrated modeling, focusing on deductive modeling, but with tests of inductive modeling, and change assessment approaches. Deductive models of habitat suitability change (supporting the GEO BON – Map of Life Species Habitat Index) run at global scale. Biodiversity dynamics underpin the regulation and provisioning of many ES, but ES models used commonly in decision-support tools do not adequately represent the relationships between different levels biodiversity (genes, species, ecosystems) and ES. Most ES tools use land-use/land cover (LULC) as the sole input representing ecosystem contribution to ES, and therefore neglect the potential impacts of within-habitat variation or changes in diversity. The Essential Biodiversity Variable (EBV) framework establishes metrics for spatially-explicit representation of biodiversity change over time and addresses these multiple dimensions of biodiversity. In theory, EBVs can feed into models for ecosystem services to represent the benefits of biodiversity to people. However, few analyses demonstrate the extent to which EBVs measured by Earth Observations (EO) represent biodiversity dynamics across multiple taxa, and no tools currently translate EBVs into ES and/or their contribution to human well-being. We propose a two-stage project to fill these gaps: the first stage links EO to the EBVs most relevant to ES, and the second stage links EBVs to ES and their benefits to people. We will develop and test models that use EO to calculate ecosystem-level EBVs (E-EBVs) and predict biodiversity patterns at ecosystem and species level (S-EBVs). These EBVs will then serve as inputs to new models that predict three focal ES that exemplify three categories of services: regulating (water regulation), supporting of provisioning (pollination for crop production), and cultural (wildlife for intrinsic value, and wildlife-based tourism). We will test these new EBV-driven ES models against those driven purely by LULC using independent data on ES production. These models will demonstrate several pathways for using EOs to link biodiversity to ES. For water regulation, E-EBVs calculated solely from EO may be used instead of LULC in process-based models that include other inputs (e.g., precipitation, soil depth and bulk density, etc.) to produce ES supply (seasonal water availability). For pollination and tourism, S-EBVs can be derived from EO with additional predictor variables, ideally from globally-available data (e.g., microclimate, soil type, aspect, etc.). These spatially-explicit S-EBVs can then be used individually or in combination to serve as proxies for ES providers, like pollinators or wildlife, that are essentially the origin of supply for these ES. In both cases these models of ES supply, when combined with models or data for ES demand (e.g., infrastructure, access, location of beneficiaries, etc. ), will produce spatially-explicit estimates of ES benefits to people. We plan to analyze and compare EO-EBVs derived from multiple EO mission data sources in Costa Rica, including Landsat, MODIS, Hyperion, and GLAS, as well as airborne data from the 2005 LVIS mission and 2005 CARTA mission. To link EO to E-EBVs to S-EBVs, we will develop predictive models based on species observations collected in Costa Rica, augmented with additional field collection. To link EBVs to ES, we will use a variety of techniques suited to the specific service, including sophisticated hydrologic modeling (water regulation), field exclusion experiments (pollination), and regression analysis with social media data (tourism). For each of these linkages we will: 1) collect or process data for model development, 2) develop model, 3) generate nationwide maps for Costa Rica, 4) test model against independent data sets, and given testing results, 5) produce generalized software tools. We expect this project to fill key gaps in our knowledge of how EO can predict patterns of biodiversity at different levels, and in our understanding of the relationship between biodiversity and ecosystem functions and services. This is an important step forward for the fields of EO and ES, and for support of decisions on conservation of biodiversity and sustainable development. The GEO-BON Thematic Marine Biodiversity Observing Network (MBON) supports the operational monitoring of marine biodiversity, defined broadly as the variety of life at the gene, species and ecosystem levels. Understanding how biodiversity changes across these levels provides insight to ecosystems’ resiliency or vulnerability to global change, and their capacity to maintain the vital ecosystem services on which humans depend. The systematic observation of life in the global ocean requires both standardized in-situ (field observations) and remote sensing methods, and a means for stakeholders to compare status and trends between locations. In the US, three pilot programs are sponsored in a partnership established between the NASA, NOAA, the Bureau of Ocean Energy Management (BOEM), the Smithsonian Institution’s Tennenbaum Marine Observatories Network, and the Ocean Biogeographic Information System (OBIS). We propose to link these demonstration projects with efforts worldwide via a common biogeographic framework that characterizes the four dimensional variability of ocean dynamics. This framework will be relevant at global and regional scales, can serve as the basis of scaling local observations of biodiversity to regional responses to climate, and provide an objective means to intercompare biodiversity-habitat relationships in advective environments. Proposed work: Objective classification and validation of remotely-sensed dynamic seascapes using high resolution (1 km) satellite data has occurred at regional to local scales in temperate-upwelling and tropical reef environments as part of the US MBON pilot program. Seascapes provide a framework to assess and scale up patterns of biodiversity and effects of environmental change on pelagic community structure, ranging from microbes to fish. With partners at the Arctic MBON and the Distributed Biophysical Observatory (DBO), we will add a polar ecosystem case study to demonstrate transferability and track changes in multi-trophic level diversity in response to changing sea-ice, temperature and nutrient delivery, and ocean chemistry. Concurrent to the US MBON effort, the US Geological Survey and the Environmental Systems Research Institute (ESRI) embarked on a global 3-D static classification of ocean volumes using multi-year climatologies of physical and chemical data archived in the World Ocean Atlas (WOA); future efforts may classify based on seasonal climatologies. We will classify dynamic seascapes globally using readily available satellite products, and inter-compare the boundaries associated with each classification scheme as a means of cross validation. Intercomparisons will highlight variability at depth not directly observed by satellites but important to pelagic species. Conversely, dynamic seascapes will illuminate changes in habitat quality and extent not apparent from climatologies. Deliverables: 1) A global seascape classification scheme that reveals multiscale ocean dynamics, using ocean color, winds, temperature, sea surface height and sea-ice from NASA repositories; 2) An intercomparison with ESRI /USGS partners to determine boundary co-location across methods; 3) Extension of the US-MBON high resolution seascapes to polar seas; 4) Examination of biodiversity patterns across polar seascapes using AMBON and DBO data. Partners include GEO members NASA, NOAA, USGS, ESRI, Arctic DBO and Blue Planet with the goal to provide a sustainable, standardized, and validated biogeographic framework to monitor and intercompare biodiversity patterns and trends, accessible to stakeholders worldwide. This proposal is complementary to that of Montes et al. that seeks to unify in situ sampling methods across sites in the Americas contributing to a Pole-to-Pole or global MBON. Continued the routine production of global and regional seascape maps through NOAA CoastWatch and the US MBON Portal. Established an engaged stakeholder community within the US and globally, including the US-MBON pilot projects, NOAA IOOS nodes, and the AmeriGEOSS Pole-to-Pole program participants. Continued compilation of local validation data sets including chl-a, particulate organic carbon, SST, salinity, phytoplankton and zooplankton species counts and forage fish surveys. Earth Observations data and products represent great potential for understanding, managing, and conserving biodiversity. The ability of decision makers to translate this vast amount of data into information for practical decisions is constrained by differences in data structures, sources, and formats and the complexity of operations necessary for data assimilation, merging, analysis, and interpretation. Overcoming these constraints is critical in Colombia, where recent and unprecedented achievements to end more than 50 years of internal war constitute challenges and opportunities for sustainable development and biodiversity conservation. Colombia is one of the most biodiverse countries in the world. Current high rates of deforestation and ecosystem degradation constitute sensitive pressures for biodiversity conservation. Colombia is also one of only three countries worldwide pioneering the implementation of a national Biodiversity Observation Network (BON) under the GEOBON umbrella. The Colombian BON has identified as crucial, the need to provide processing tools and analytical skills to decision-makers for integrating biodiversity information into national and regional development planning. We propose to develop a Decision Support System (DSS) for Biodiversity Conservation and Management in Colombia. The DSS will facilitate the integration, processing and analysis of Earth observations in one platform, to inform biodiversity decision-making. The DSS will allow users to bring existing Earth Observations into compatible data structures and to develop metrics for different geographic domains and time periods. These metrics can then be integrated into modules to characterize: 1) biodiversity conservation status, 2) human and climatic drivers of biodiversity and ecosystem change, 3) future impacts of land use on biodiversity and 4) priority areas for biodiversity sampling and monitoring. The DSS will be dynamic, interactive, open source and flexible to include new data and functionality as new products are generated or needs emerge. The toolset will be accessible at two “tiers” of complexity, suitable to different levels of user expertise. The first tier will contain user-friendly dashboards and customizable queries to enable users, with no previous experience in computer coding, the ability to parameterize, visualize, and interpret information for monitoring, reporting and verification purposes. The second tier will offer greater flexibility in customization, parameter settings and modeling outputs to users with basic to advanced skills on computer coding. A case study will be implemented in Colombia to test the functionality of the DSS. The project also includes workshops, training sessions and webinars to broaden the participation of stakeholders in the development of the DSS and to build capacity for its use for research, policy decision-making and environmental monitoring. The DSS will inform the National Environmental Information System of Colombia and will be hosted and administered by the official institution leading the implementation of the BON in Colombia, the Alexander von Humboldt Institute for Biodiversity, with support from the other participant organizations. The functionality of the system will also be provided as a BON in a Box set and will be designed with a level of generalization to facilitate the development biodiversity support systems for other national or regional BONs. The DSS is highly relevant to NASA’s Earth Science and Applied Sciences Program. Given the demonstrated human dependence on ecological systems, enabling the use of Earth Observations for timely and informed decisions on biodiversity planning and management will promote long-term societal benefits. 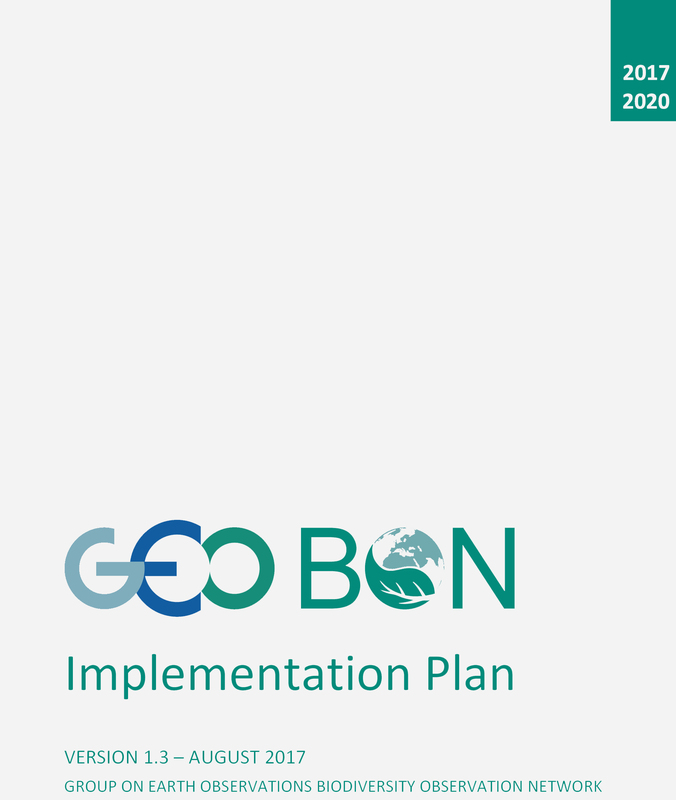 The system will also add to GEOBON’s goals of contributing to effective policies for sustainable management of biodiversity and ecosystems by facilitating the delivery of Earth Observation information for research and decision-making. 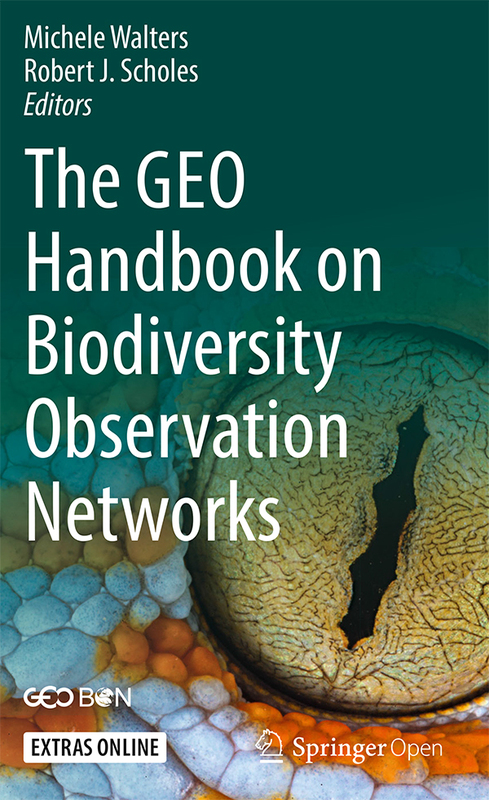 The Group on Earth Observations (GEO) Biodiversity Observation Network (BON) was developed to improve the synthesis and acquisition of data on biodiversity for the suite of potential user communities, including scientists, land managers, and policy makers. GEO BON aims to identify Essential Biodiversity Variables (EBVs), of which a category is Ecosystem Function. Within the EBV class of Ecosystem Function, the currently identified variables (Net Primary Productivity, Secondary Productivity, Nutrient Retention, and Disturbance Regime) all describe aspects of ecosystem functioning, however, none of these variables directly quantifies the observed diversity in ecosystem functioning. Just as species composition (including biodiversity) has the capacity to provide information about the resistance and resilience of ecosystems in the face of environmental change, the diversity of ecosystem functioning provides a similar opportunity. With this as our basic premise, and the identification of a potential gap in the set of GEO BON Ecosystem Function EBVs, we propose to develop a classification of Ecosystem Functional Types (EFTs). EFTs are a top-down characterization of the spatial and temporal heterogeneity of ecosystem functioning (regardless of similarities or differences in ecosystem structure), based on areas of the land surface that process energy and matter in similar ways, and potentially show coordinated responses to environmental factors. There is effectively an unlimited number of ways in which ecosystem functioning can be characterized and classified; however, certain EFT classifications are more achievable than others, given limitations of data availability over large spatial extents. The development of an extensive EFT classification, using certain functional variables can be (and has been) accomplished through the use of satellite remote sensing, and this is the approach that we intend to utilize for this effort. While EFTs can be developed globally, we will focus this particular effort on the terrestrial ecosystems of the arctic tundra. We do this because 1) the Arctic is a region that has a relatively high degree of spatial variability in ecosystem functioning, but is also one that has been changing dramatically over the past several decades (and is projected to continue to change), as a result of dynamics in climate and land use, 2) a well-defined classification of the ecosystem structure (vegetation community distribution) of the arctic tundra currently exists in the Circumpolar Arctic Vegetation Map (CAVM) – the region therefore provides an excellent opportunity to identify and evaluate the relationships between ecosystem structural diversity and functional diversity, and 3) the Arctic is currently one of two regional Biodiversity Observation Networks, facilitated by the Circumpolar Biodiversity Monitoring Program (CBMP) – within the Arctic Council, Conservation of Arctic Flora and Fauna (CAFF) Secretariat. Presented the Ecosystem Functional Diversity concept and preliminary results for the Arctic at three conferences: The Arctic Biodiversity Congress in Rovaniemi, Finland; the International Circumpolar Remote Sensing Symposium in Potsdam, Germany; and the American Geophysical Union Meeting (GEO-BON session) in Washington, D.C.
Held our first annual project team meeting this fall in Charlottesville, VA. Working in the Google Earth Engine environment to develop the first set of Ecosystem Functional Types for the Circumpolar Arctic, based on the seasonal dynamics of the MODIS NDVI. More comprehensive mapping of earth’s biodiversity is a priority to help prevent further biotic impoverishment and maintain ecosystem functions and services. Intergovernmental organizations, national governments, and non-governmental organizations have developed numerous approaches to map and monitor biodiversity priorities and to report on status and trends in biodiversity. The Group on Earth Observations Biodiversity Observation Network (GEO BON), a flagship GEO program, has been at the forefront of efforts to coordinate and deliver this biodiversity information to national governments, researchers, and other groups with an interest in conserving biodiversity. The Essential Biodiversity Variable framework (EBV) and the BON in a Box tool are two of GEO BON’s primary vehicles for organizing and delivering technical information to its participants. In addition to global efforts, GEO BON facilitates national and regional BONs. Colombia, with oversight from the Colombian Ministry of Environment and assistance from GEO BON, is currently developing its national framework for biodiversity observations. Colombia’s Instituto de Investigación de Recursos Biológicos Alexander von Humboldt (IAvH), a non-regulatory, government research institute, is primarily responsible for developing the framework. IAvH is making progress on multiple fronts, including development of the BioModelos application which informs the Species Populations EBV. However, development of a habitat structure EBV is still needed and would make a valuable addition to Colombia’s national biodiversity observation framework. Habitat structure is one of six EBV classes defined in the EBV framework and has been highlighted as a priority for mapping from space. Although earth observations have greatly increased our understanding of earth’s ecosystems over the past several decades, especially the horizontal distribution of forests and other major vegetation types, we still lack precise measurements of vertical habitat structure and its distribution for large areas. Lidar data from NASA’s Global Ecosystem Dynamics Investigation (GEDI), which is currently underway, will significantly enhance habitat structure information available for large fractions of the earth’s forests. Because of its sampling density (~15 billion samples over its two year lifespan) and footprint size (~25 m diameter), it will do so with high precision and at scales commensurate with in-situ biodiversity observations and moderate resolution optical sensors such as Landsat and Sentinel. Thus, GEDI can serve as a foundation for global and national level habitat structure EBVs. 1) Develop a consistent and scalable workflow that uses spaceborne lidar measurements to provide high precision estimates of the extent and distribution of forest structural types, establishing baselines for subnational, national and international biodiversity targets and reporting requirements. 2) Work with IAvH to incorporate EBV data and workflows into Colombia’s biodiversity observation framework. The proposed work will contribute to the GEO work plan by supporting the efforts of GEO BON to leverage earth observations for development and implementation of a forest structure EBV that describes and quantifies forest vertical structure across ecosystems. Currently modeling vegetation structure in several areas in the Neotropics and assessing the potential for GEDI data to enable wall to wall mapping of forest structure in Colombia, using a variety of multispectral, radar, and lidar data sources. Presented an analysis at the AGU 2018 Fall meeting describing use of GLAS lidar data to map broad vegetation structure types across Colombia in the 2000’s and to understand the factors that influence their geographic distributions. Elevation, temperature, and human influence were the most important factors related to variability in vegetation cover, vegetation height, and sub-canopy height distribution. Held two workshops in Fall of 2018 in Bogota, Colombia in collaboration with the Humboldt Institute; worked with participants from non-profit, academic, and government sectors to identify potential lidar forest structure applications in Colombia. There is considerable potential to work with current and planned projects to calibrate and validate a vegetation structure Essential Biodiversity Variable. The Marine Biodiversity Observation Network (MBON) is a Thematic BON established under the Group on Earth Observations Biodiversity Observation Network (GEO BON). The MBON is also the highest priority program identified by the GEO AmeriGEOSS initiative under its Ecosystems and Biodiversity Sustainability Societal Benefit Area. The vision of the MBON is a network of regional observation systems that collaborate and share information, and that work jointly to understand marine biodiversity, its geographic distribution, and how it changes through time. The goal of the MBON is to provide the knowledge needed to promote ecosystem conservation, sustainability, and good management practices. To accomplish this, MBON connects and provides support to existing national and regional marine observation programs and provides the framework for a community of practice. The framework is a partnership between national and regional programs and the Global Ocean Observing System (GOOS/IOC-UNESCO), the Ocean Biogeographic Information System (OBIS/IOC-UNESCO), and GEO BON. The Pole-to-Pole MBON of the Americas (P2P MBON) is a first step toward establishing a regional collaborative network that supports groups in the American continent. Link users into the community of practice, to ensure products are responsive to societal needs, with particular emphasis on SDG 14. Develop tools for the standardization and sharing of marine biodiversity observations, as well as synthesis with environmental data, derived from satellite and in situ observation. This includes data management and communication capabilities according to international standards (e.g. DarwinCore and EventCore). Build scientific capacity throughout the Americas with training workshops and information dissemination campaigns oriented around use of tools, portals and data. These efforts will be co-designed with OBIS, following the International Oceanographic Data and Information Exchange (IODE) Data Carpentry approach. Distribute seascape and related MBON products that use ocean color and infrared Earth observing satellite data, via the GEONETCast Americas satellite network and other relevant means. The efforts proposed here complement proposals targeting the GEO BON program element (GEO Work Program 3.1) with focus on the development of Essential Biodiversity Variables and BON in a Box. These will contribute to developing the AmeriGEOSS Biodiversity and Ecosystem Sustainability Societal Benefit Area. The first Biodiversity Workshop: from the Sea to the Cloud was held in São Sebastião, Brazil, Aug 6-10, 2018. This activity gathered 38 participants from 10 countries in the Americas to set the foundations and marching orders of the MBON Pole to Pole network. Field data collection protocols for macro-invertebrates of sandy beaches and rocky shores have been developed and are currently being used in biodiversity surveys across the region. Protocols are available at the MBON Pole to Pole site. Biodiversity surveys have been completed between August 2018 and January 2019 in Argentina, Brazil, Chile, Colombia, Ecuador and Galapagos Islands, and Mexico using standard sampling protocols. Data from these surveys will be publicly available through OBIS and GBIF. In collaboration with researchers of the Research Centre in Biodiversity and Genetic Resources of Portugal (CIBIO-UP), 36 biomimetic temperature loggers (Robolimpets) are being deployed at 18 sites over nine countries where biodiversity surveys are being conducted. These temperature loggers register temperature exposure of sessile macro-invertebrates of rocky intertidal zones. Sensors were donated to the project by the manufacturer (ElectricBlue). The 2nd Biodiversity Workshop: from the Sea to the Cloud will be carried out in Puerto Morelos, Mexico, on April 1-6 this year to advance network objectives and the implementation of the MBON Pole to Pole network. Over 30 participants from 11 countries in the Americas are confirmed. ECOPOTENTIAL is a large European-funded H2020 project that focuses its activities on a targeted set of internationally recognised Protected Areas, blending Earth Observations from remote sensing and field measurements, data analysis and modelling of current and future ecosystem conditions and services. 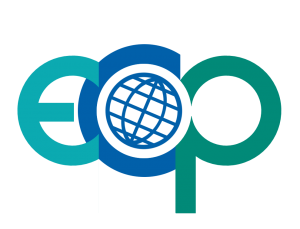 ECOPOTENTIAL considers cross-scale geosphere-biosphere interactions at regional to continental scales, addressing long-term and large-scale environmental and ecological challenges. The GLOBIS-B project “GLOBal Infrastructures for Supporting Biodiversity research” is a Horizon 2020 project within the coordination & support action funding scheme of the H2020-INFRASUPP-2014-2 call of the European Commission. The main aim of the project is to bring together scientists with global research infrastructure operators and legal interoperability experts to address the research needs and infrastructure services required to calculate Essential Biodiversity Variables (EBVs). The main objective of EU BON is to build a substantial part of GEO BON. A key feature of EU BON will be the delivery of near-real-time relevant data – both from on-ground observation and remote sensing – to the various stakeholders and end users ranging from local to global levels.